Another day of happy food, happy eating, happy feeling! So much of this has become automatic now, and the habits are being cemented into this new lifestyle. I had some thoughts this morning and shared them in the BLE unofficial support group on Facebook. It really is a LIFESTYLE. It’s not a passing whim, or a “diet” that you do till you reach your goals. 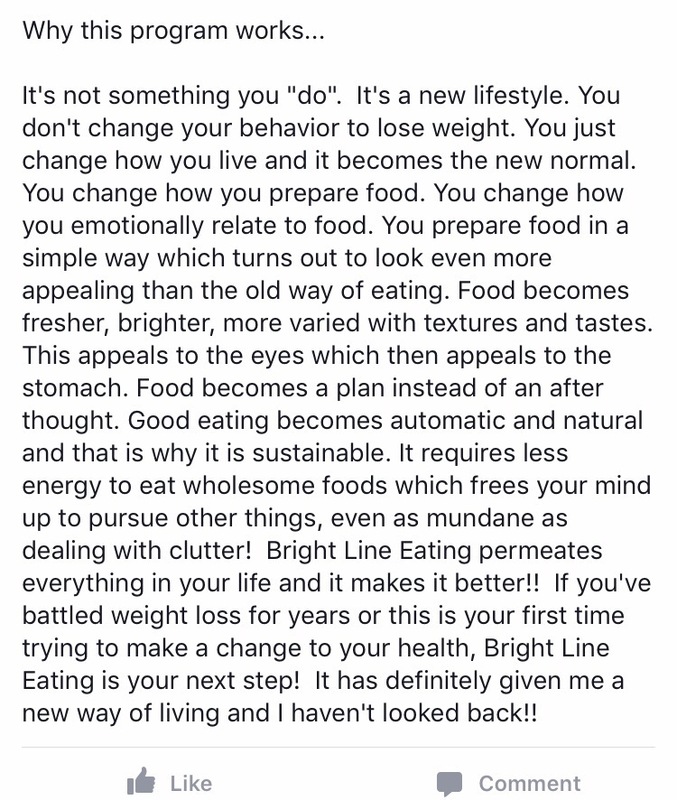 It’s just how you live, how you eat, how you relate to food. #1 No Sugar…of any kind…at all…ever! #2 No Flour…it hits your body just like sugar does and creates an addiction to food that is very difficult to control. #3 Three meals a day. Period. No eating between meals. No snacks. No bites, licks, or tastes while cooking. #4 Quantities. Eat your foods in specific and measured quantities. These are the FOUR bright lines and there is a whole multitude of people following this way of life all around the world. The Facebook group affords amazing support. You can join it here. Then there is Instagram. 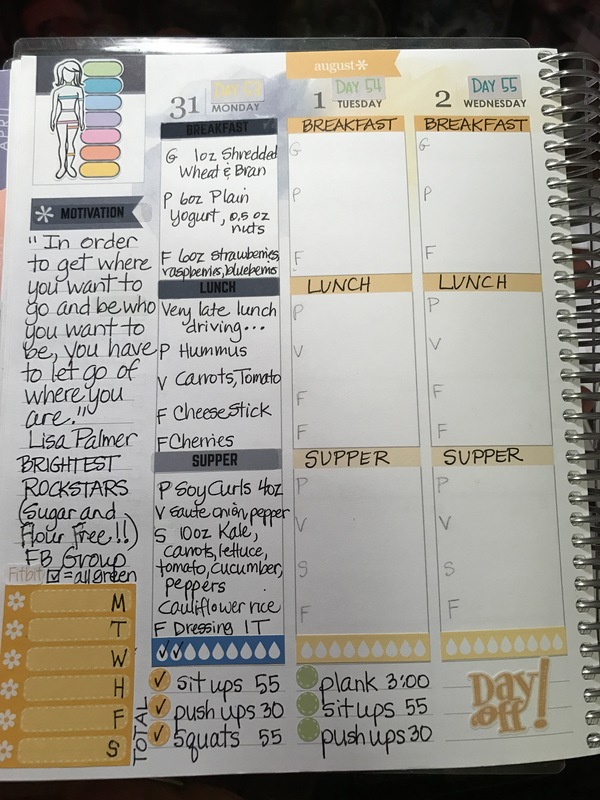 If you search for anything along the lines of bright line, BLE, etc., you will find people that are posting about their meals and you can get tons of ideas! I’ve opened a new IG account just for bright line eating (@bright.line.kristy). 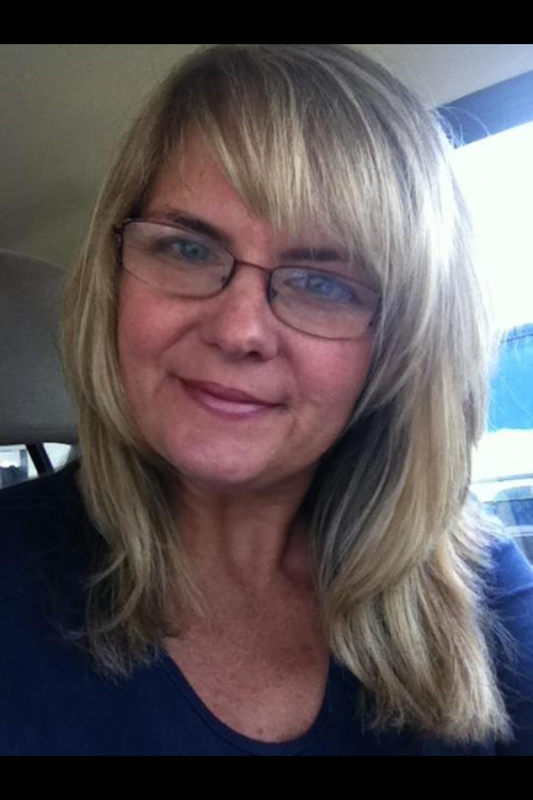 Feel free to follow my journey there too! I really enjoy posting on this blog, so I will continue to post the most details here. Let’s talk about today! I’ve been doing this for 53 whole days now! That is a lot of days in a row and I have stuck to the plan almost 100%!! I am proud of my progress and I can’t wait to see where it will take me. Here was the start of my week. 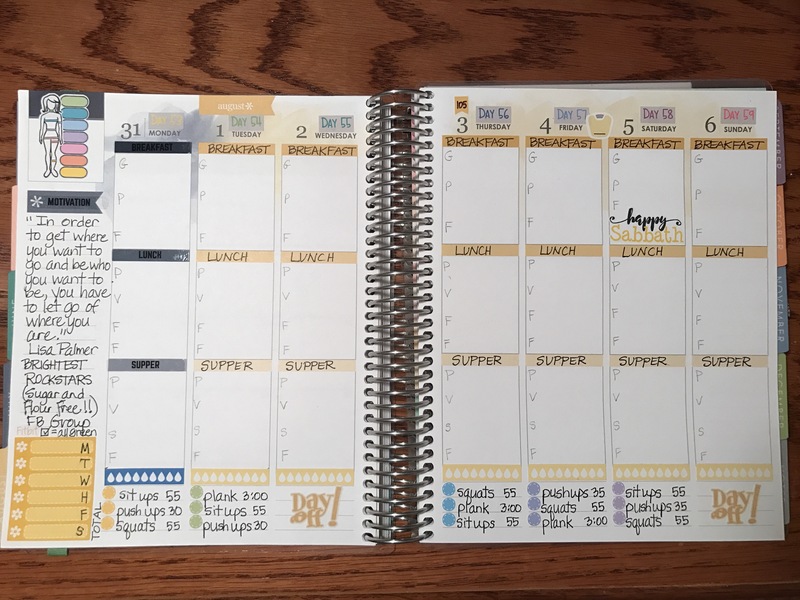 I always look forward to doing all the little prep work for my week in my planner!! Breakfast is my favorite meal. 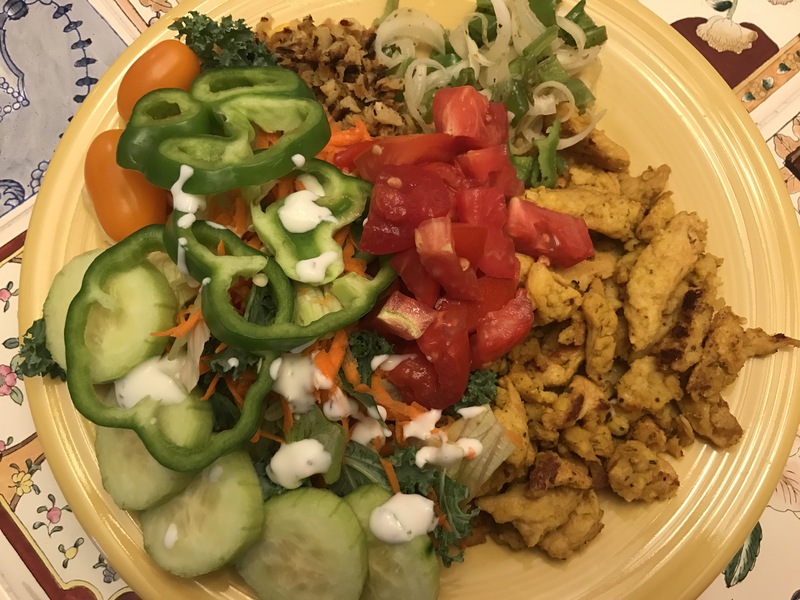 It always looks so pretty to eat and it always tastes delicious. 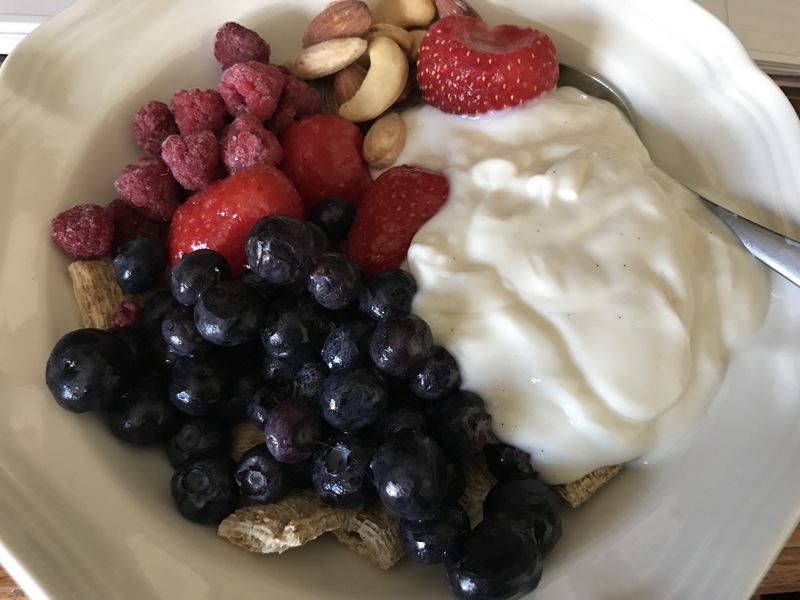 There is something to be said about no snacking and not eating between meals because when breakfast comes in the morning, you’re HUNGRY!! And eating food while hungry ALWAYS makes it taste better!! Lunch today was on the run! I was in my car, driving home from taking a dog to the vet (in a far away town), and I hadn’t packed a lunch. I stopped at Safeway and bought foods from my categories. 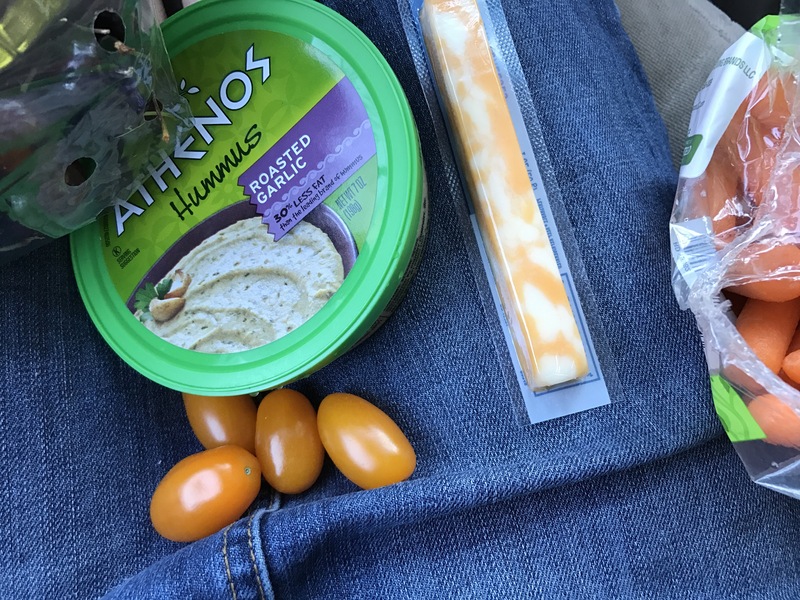 For protein I had hummus, vegetables were carrots and cherry tomatoes, fat was the cheese stick, and my fruit was cherries. I did not measure but just did my best to guesstimate how much I needed to eat. One interesting thing that happened was that when I was leaving Safeway, I saw this row of trees that I used to park under and eat junk food in the shade. I can’t tell you how many times, when I lived near this Safeway, I bought snacks foods and then parked in the shade and ate them in my car. Sometimes I did this with my children in the car, and sometimes I did it alone. It was really strange to see that space, remember my old habits, and know that I will not repeat that ever again! Success and victory are around every corner! After getting home, I took a stroll through my garden (that will be the next blog post) and picked an onion, some peppers, tomatoes, and kale. My guys called and asked if there was supper planned, so I got to work making food that we could all enjoy. I decided we’d have fajitas! These are the Soy Curls. 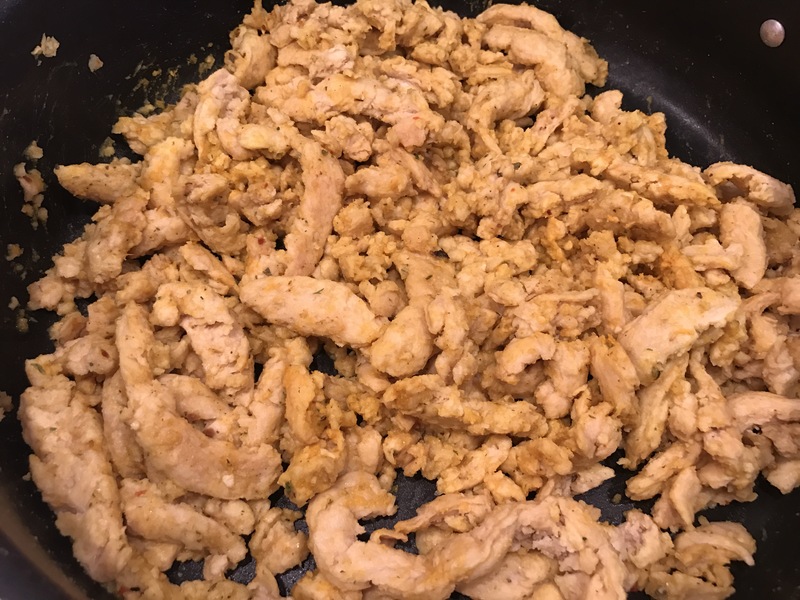 They are so quick and easy to make and can be seasoned any way you’d like. I used my McKay’s children style seasoning again, onion powder, garlic powder, and a garlic/herb powder that I got from Costco. 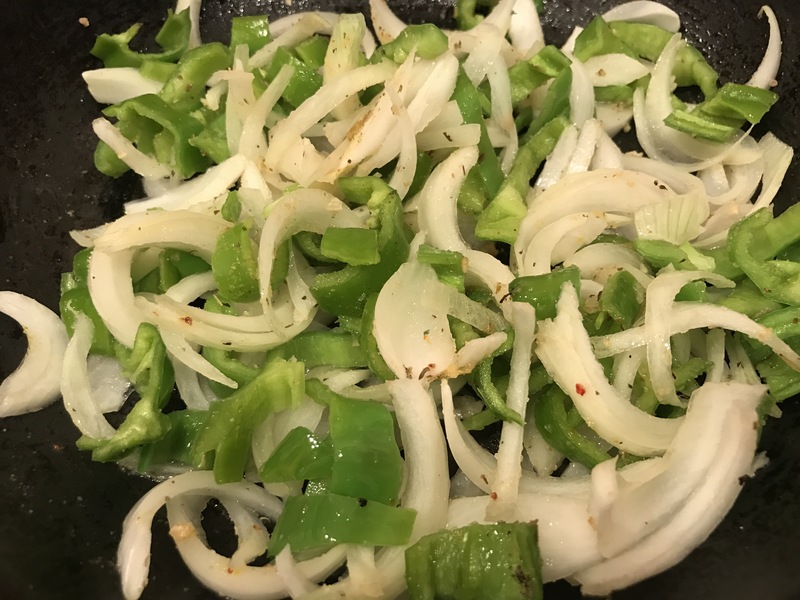 I sautéed a garden onion and bell pepper so we could build fajitas with all the veggies and the Soy Curls. 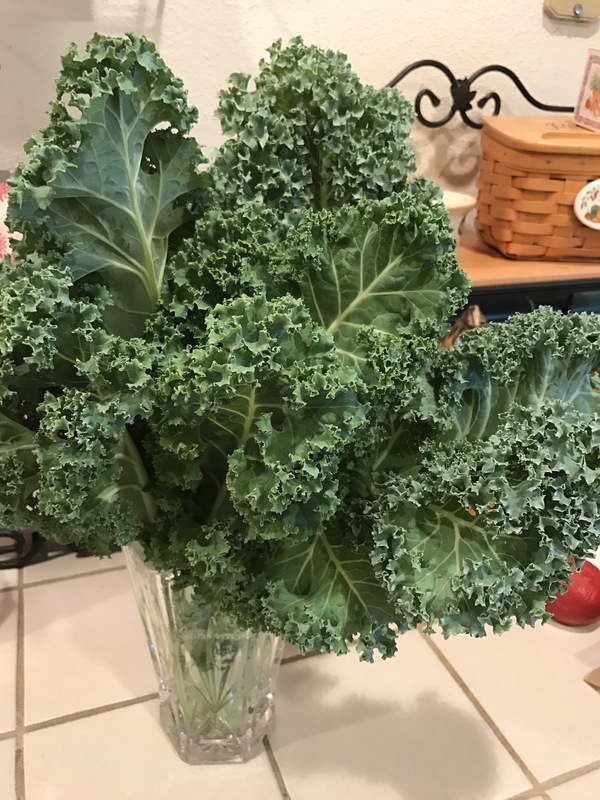 This bouquet of kale was waiting for me to use in the green salad. I learned to store leafy greens in a vase of water. They stay fresh and can be stored in the fridge, or we just leave them on the counter. This was picked a couple days ago and it looks perfect still in the water! The guys used a flour tortilla to make their fajitas, but I just ate everything on my plate. Delicious!! This week I will be doing my measurements again. I can’t wait to see if there are any changes. I’m sure there must be because my clothes are starting to feel loose! I did my core exercises this morning, so it was great to already have those check marks in place. Everything is getting so much easier to do and I’m more than half way to my goal of 50 push ups by my birthday!! This entry was posted in Uncategorized on July 31, 2017 by gracewithouttears.